We did it! 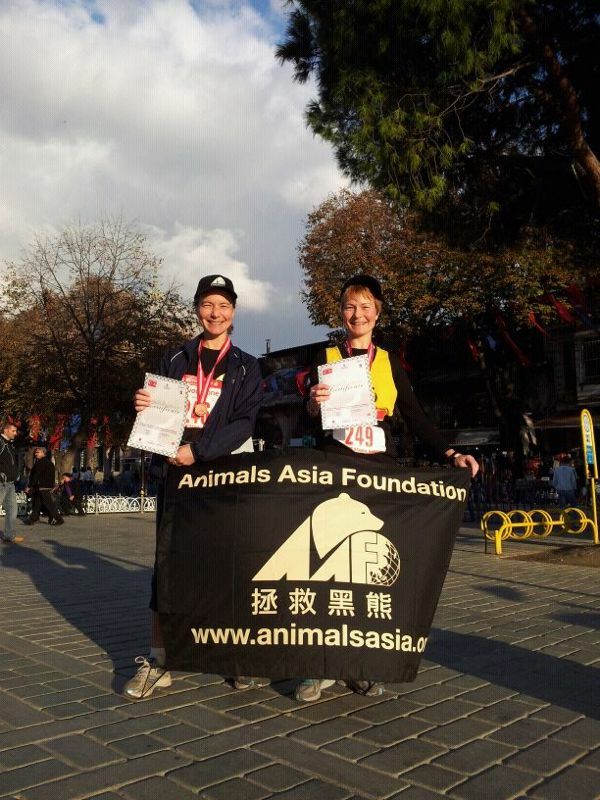 My sister Silke and I completed the Istanbul Marathon from Asia to Europe on Sunday 11 November despite some health issues and have raised nearly £2000 for Animals Asia so far. Silke collapsed 6 weeks prior to the marathon and only had confirmation from her doctor that she was allowed to run again 2 days before we left for Istanbul, and I had a terrible migraine the day before the race. Not running was simply not an option for either of us. It was a long hard run but when the going got tough the thought of Oliver, who spent 30 years of his life in a tiny cage, and all the other bears, dogs and cats we were doing this for kept us going. A massive THANK YOU to all who have already sponsored us and given so much encouragement along the way. With thanks and bear hugs! This entry was posted on Thursday, November 15th, 2012 at 12:46 am	and tagged with Animals Asia, cats, dogs, Istanbul Marathon, moon bears and posted in London events. You can follow any responses to this entry through the RSS 2.0 feed.